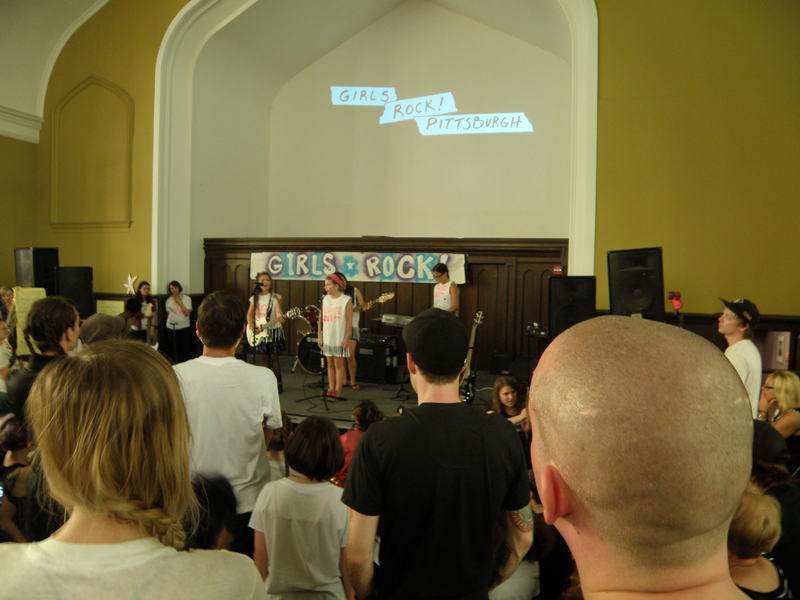 On August 9th I saw the second Girls Rock! Pittsburgh showcase of 2014 with my friend Grace. 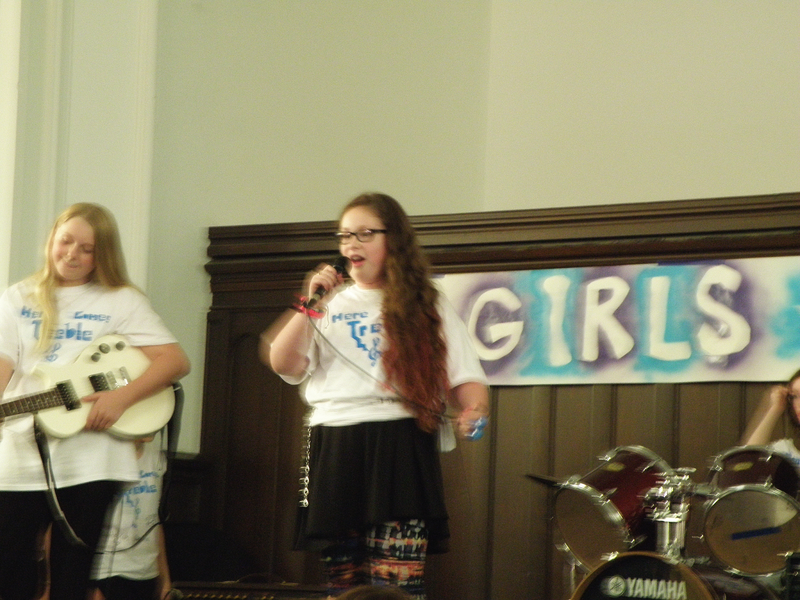 It was really great to see all of these young women perform original musick. 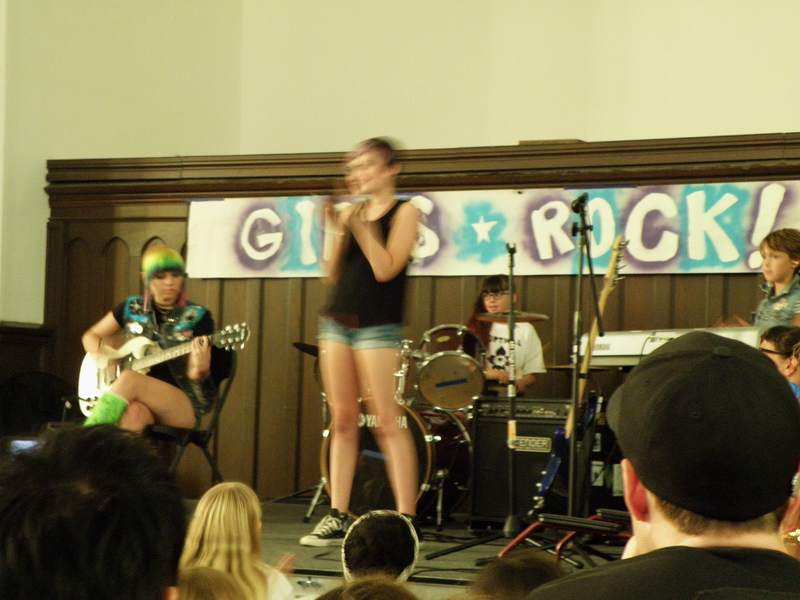 There were still elements of no-wave and punk mixed with simplistic pop; the lyrics could get pretty strange at times. 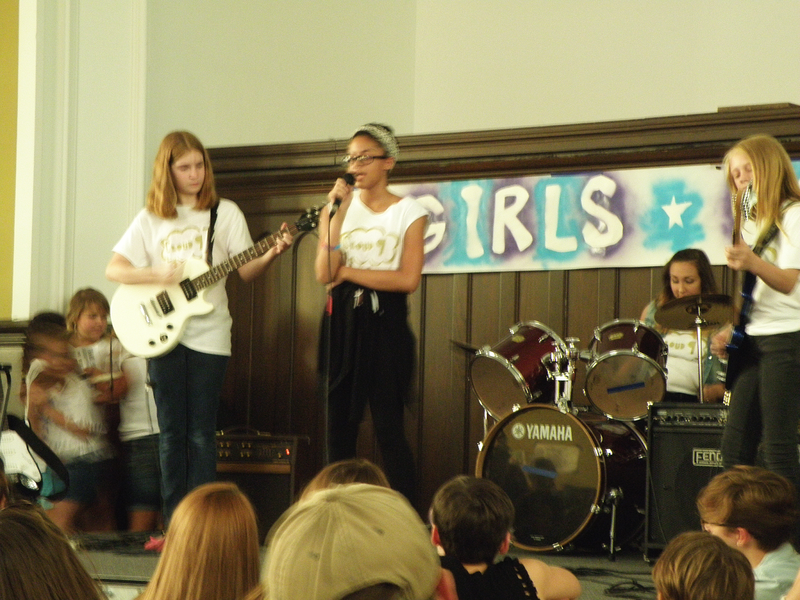 This band had a lot of rockstar potential! This show was the second(?) I've ever been to at the Union Project. The first show I saw here was the Evens, Ian Mackeye's post-Fugazi project. It can be a strange space, wide and with lots of light streaming in, but it totally worked for both of these shows. The weirdest part might be the natural acoustics that are at work here; they can be bad for a bunch of amplified stuff, but the sound worked really well. In January, the Mr. Roboto Project is having a recording session with these bands. It will be exciting to meet the members; hopefully I will learn and remember the names of the bands! 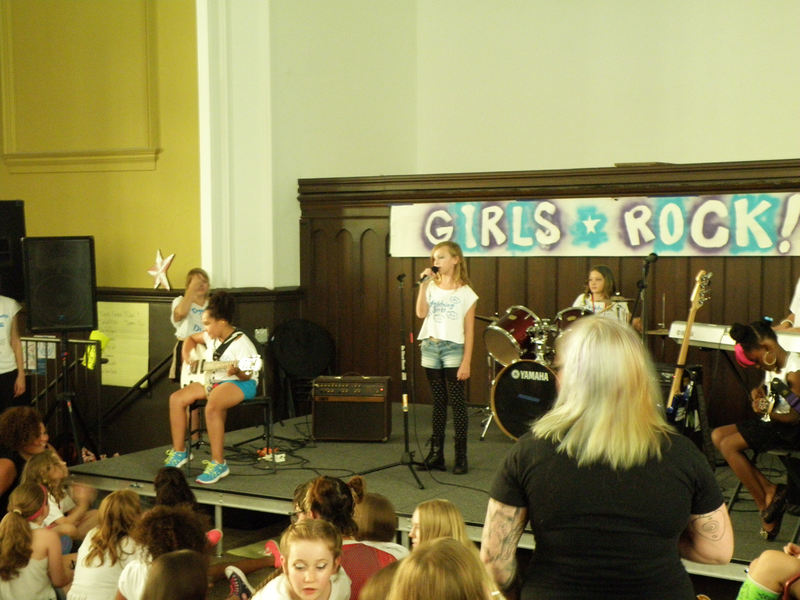 It's super awesome that Pittsburgh has a thing like this going on, and I hope to support Girls Rock! Pittsburgh next year again, even if it is just by attending and writing about the showcases. 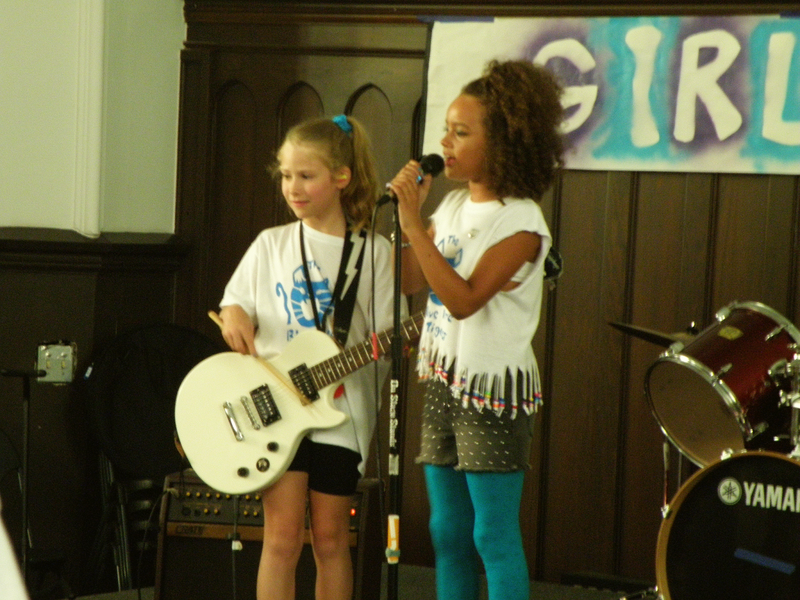 Check out the Girls Rock! Pittsburgh website and maybe even sign up a child for next year's camp!